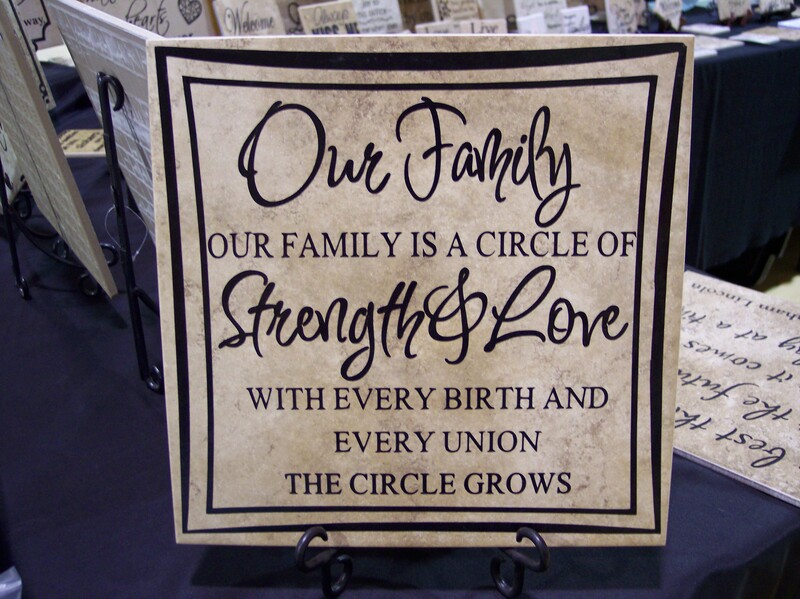 With a little help from You, we can add some of the things You LOVE (or things that the people you’re buying the tile for LOVE, in order to make your tile buying experience even more personalized. 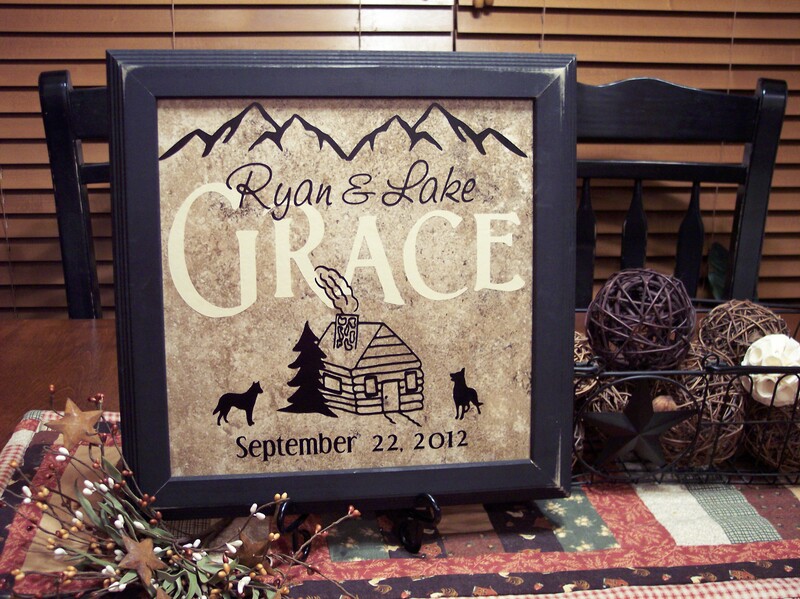 This tile was created for a customer who asked for mountains, cabins and german shephards. We kept looking until we found all 3 requests! 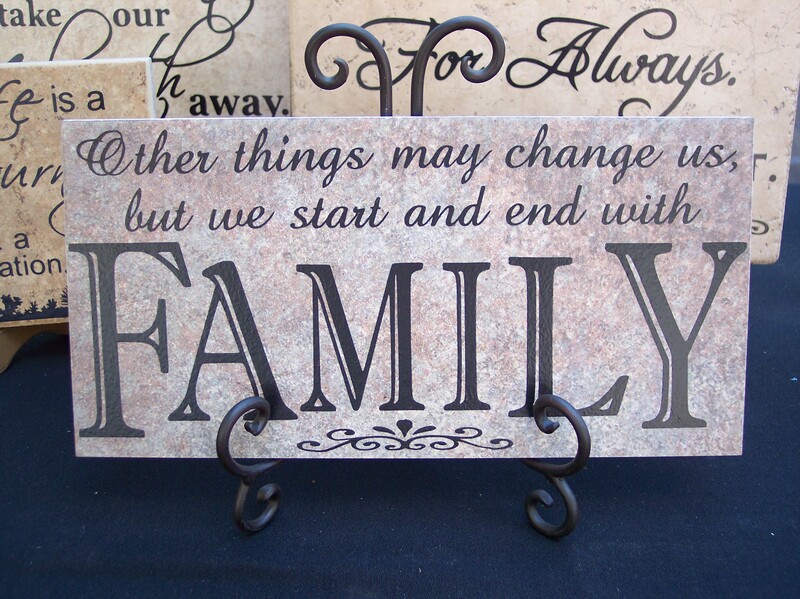 FAMILY . . . Forever . 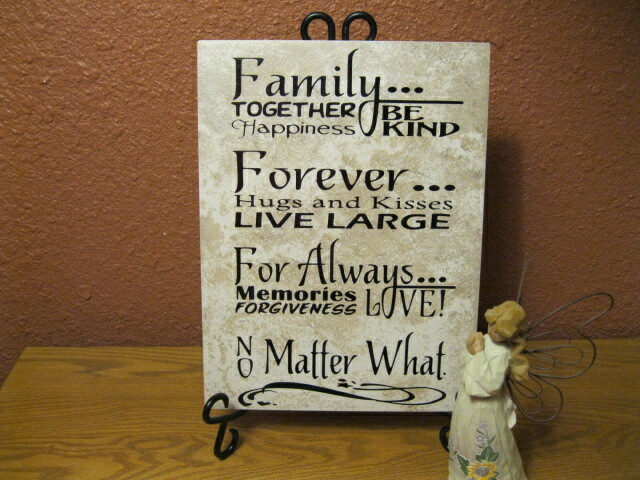 . . For Always . 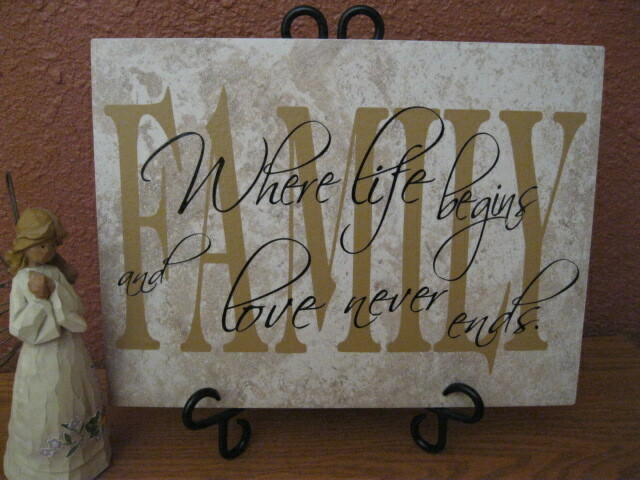 . . No Matter What. 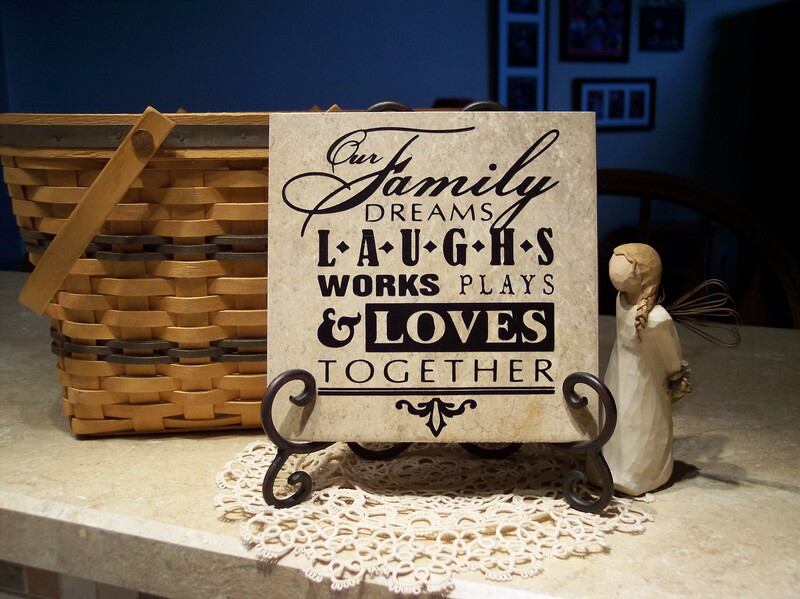 Our Family dreams, laughs, works, plays, & loves together. 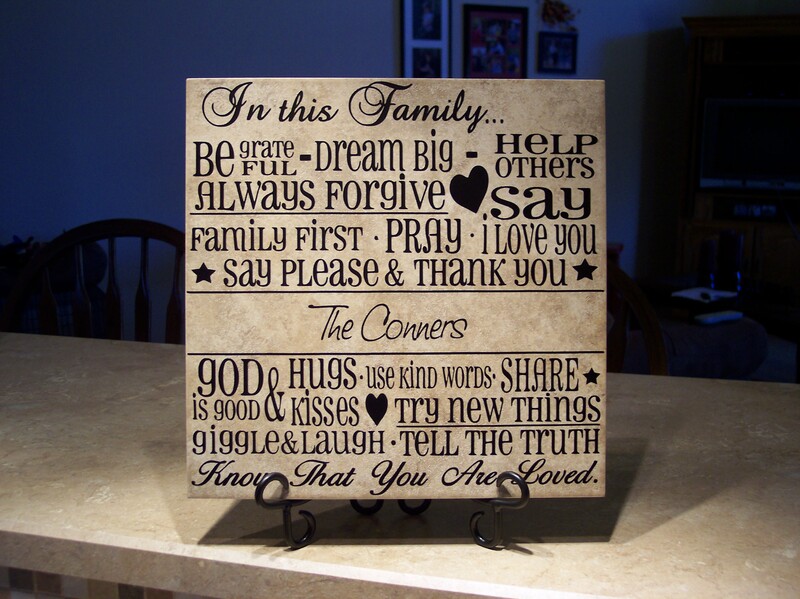 In this Family . . . Know that you are Loved. 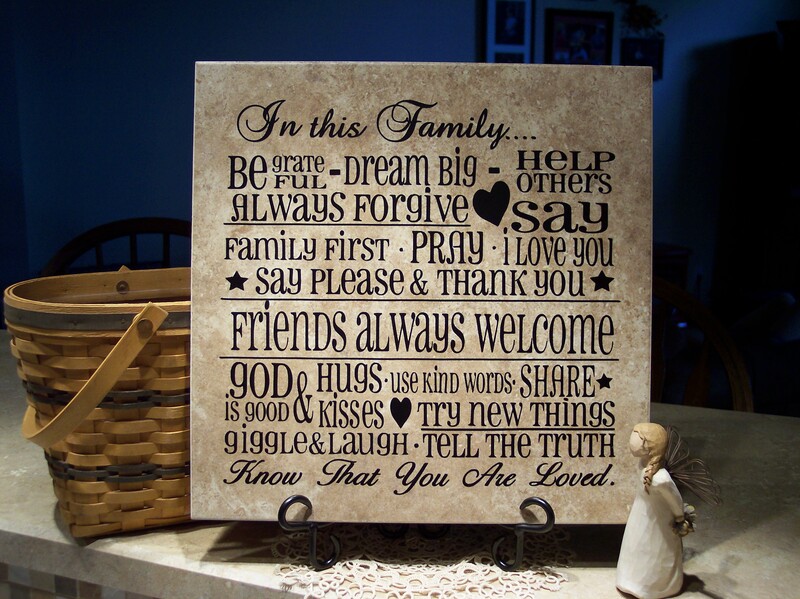 Personalized with your family’s name in the center. 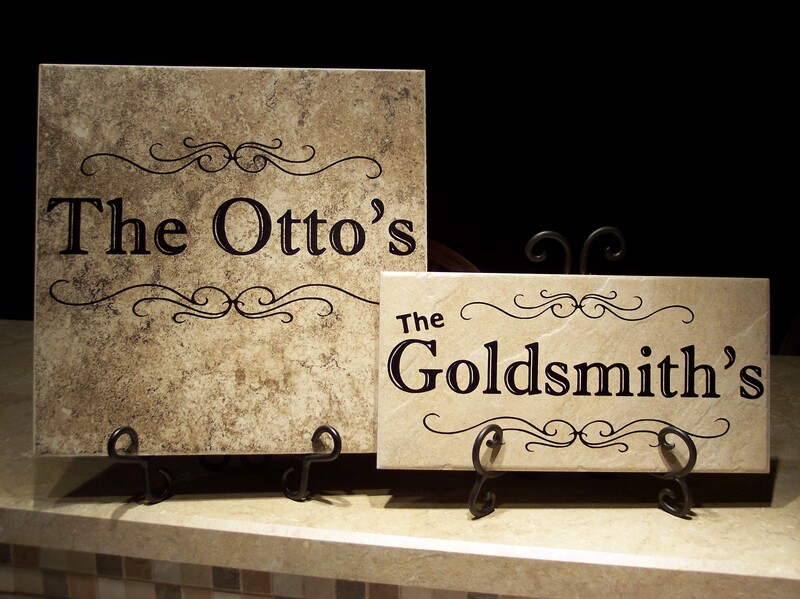 The perfect gift — a personalized tile! 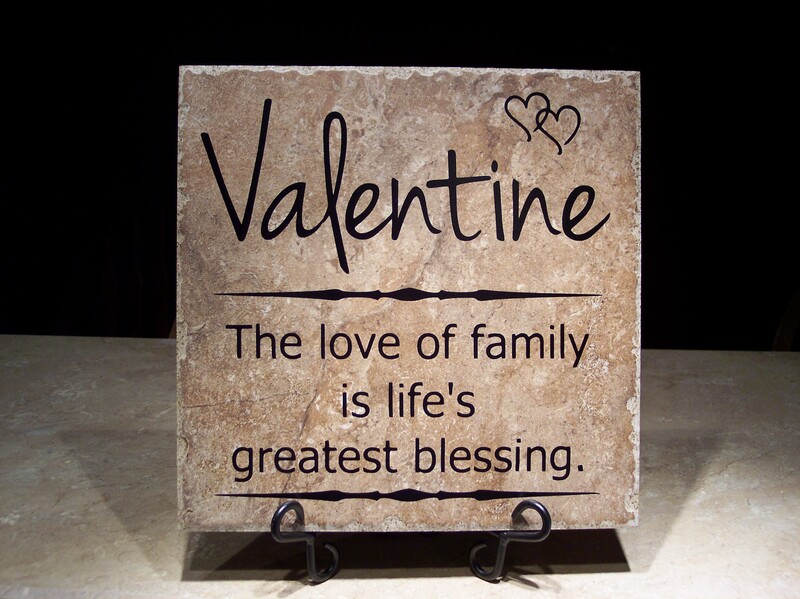 We can put your family name in place of Valentine. 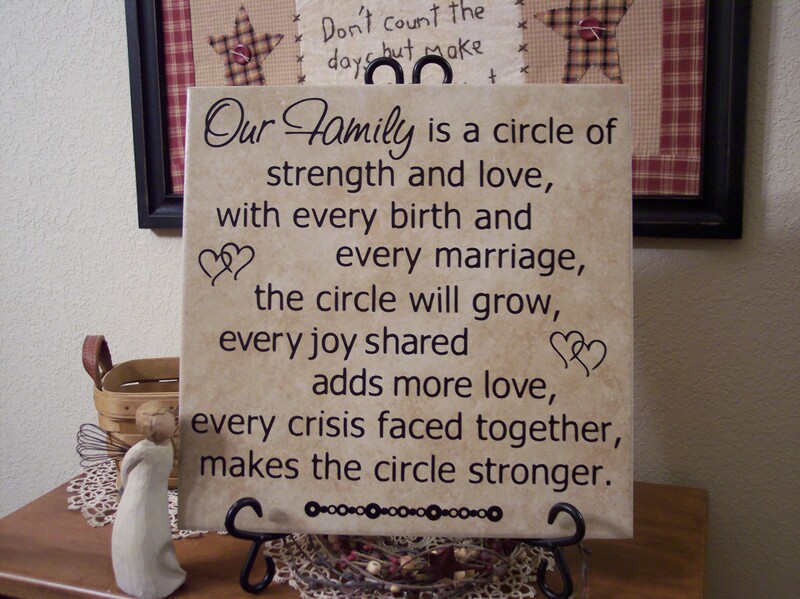 Our Family is a circle of strength & love – with every birth and every union the circle grows. 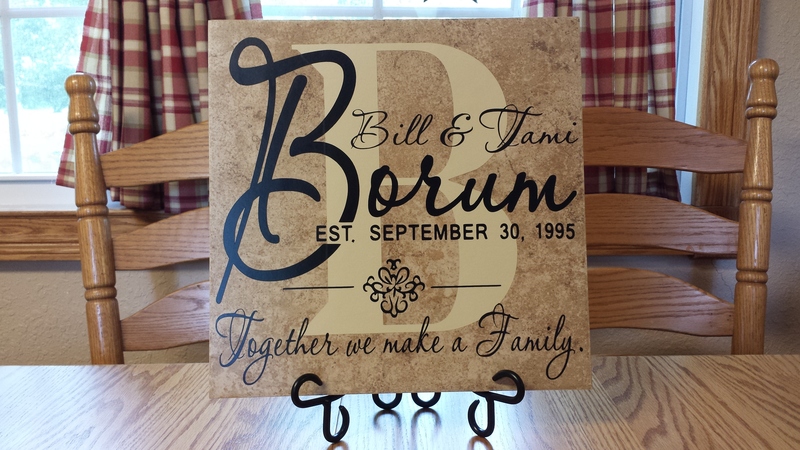 Available in 12″ tiles or a 6×12″ tile – $25. 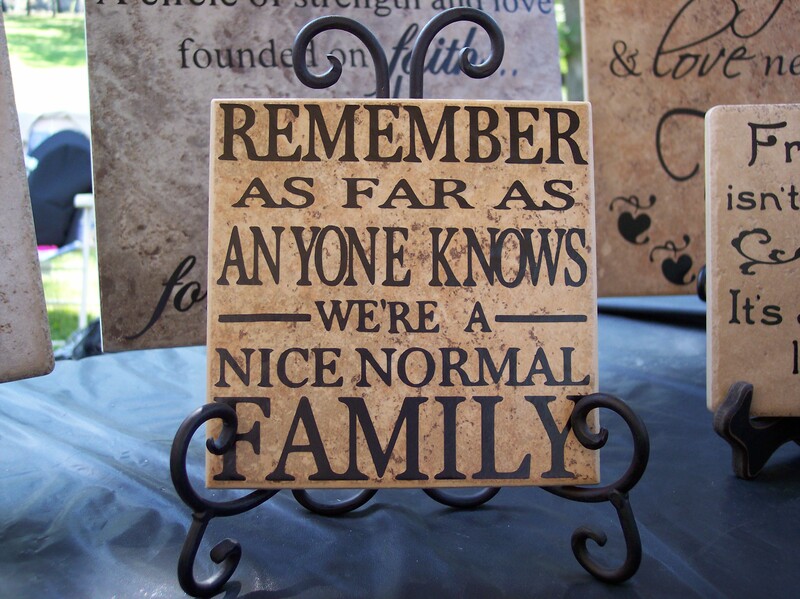 REMEMBER as far as anyone knows, we’re a nice normal family! 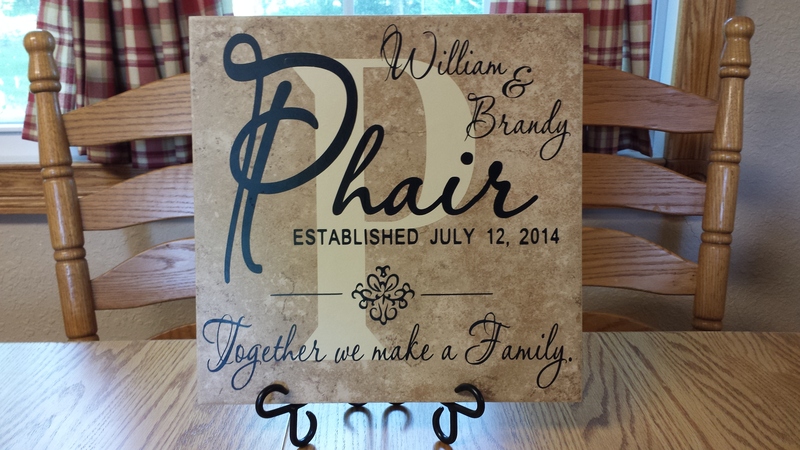 We had some orders for these for family reunions this summer! Hope they were a hit! 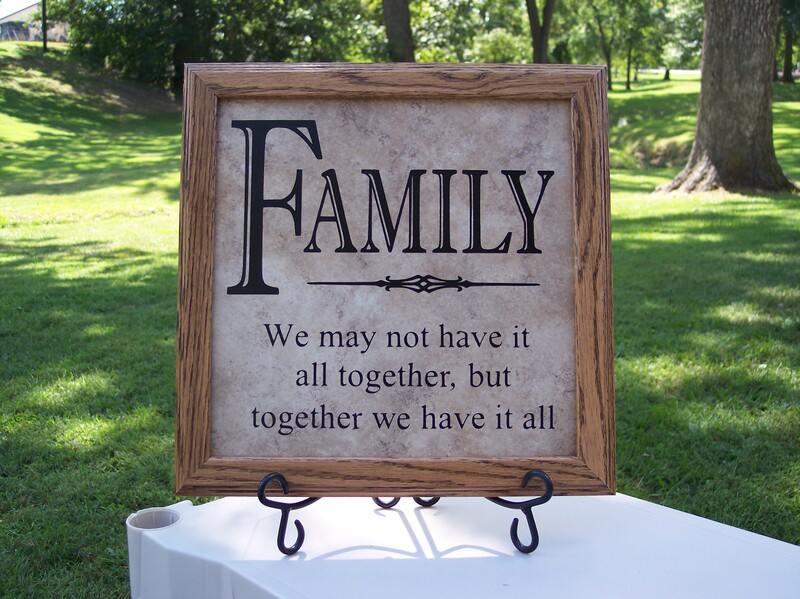 FAMILY – We may not have it all together, but together we have it all.